The Swiss quartet SONAR is joined by guitarist David Torn and legendary producer, remixer and bass guitarist Bill Laswell. Happy Rhodes (7d artist and singer of The Security Project) is Bandcamp's pick for "Artist Of The Week." 7d is proud to announce Happy Rhodes' entire back catalog is now available in our shop. 7d Media will now be handling the distribution of all DiN Records releases in the USA/Canada. Based in the UK, the DiN Records label was set up by Ian Boddy in 1999 to release ambient electronica that bridges the gap between the analogue sound of the early 70's synth pioneers and the digital soundscapes of the more experimental modern exponents of electronic music. The latest album from Germany-based composer, touch guitarist Markus Reuter. Reuter, who works with Tony Levin and Pat Mastelotto in the group Stick Men, collaborates with the progressive groove Swiss group SONAR and electro-exotic musician Tobias Reber. Sonic Cinema by Zero Times Everything. Avant-garde post-industrial pre-cambrian pan-ethnic serial noise proto-punk neocortex music. It lives at the intersection of “My Life in the Bush of Ghosts” and Autechre, mixing glitchcore, ambient, and progressive rock. Members Richard Sylvarnes, Pietro Russino and Tony Geballe began working together as “live soundtracks” for Sylvarnes’ films which have shown in Greece, Germany, England, Brazil, Russia and at the Tribeca Film Festival in NYC. Five track digital EP from The Security Project. With new singer Happy Rhodes. Four Peter Gabriel tunes and one from Kate Bush. Follow up to the acclaimed Live 1 CD. TU (Trey Gunn & Pat Mastelotto) are coming to South America and Mexico this June, 2016. 7d Media and Bad Elephant Music are proud to announce "The News"-- the second album from Italian art-rock trio N.y.X. This release is now available for pre-order HERE. 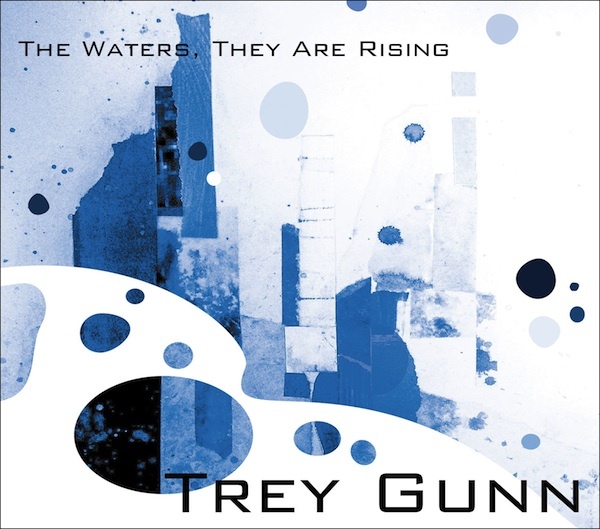 The new Trey Gunn CD "The Waters, They Are Rising" features heavily on John Shaefer's lastest WNYC broadcast entitled Expansive Guitar-Scapes. Also woven into the flood theme of the program is music by Robert Fripp, Peter Gabriel and David Torn.